buy a house? Read on below to learn all about this town’s history, education, and more. In the 1830s, people began settling in the area that would come to be called Marshfield. It was not until 1855 that Webster County was formed, and in 1856 Marshfield became official. Because of its high altitude, nearly 1500 ft. above sea-level, Marshfield is considered the highest county seat in the entire state. The area experienced fluctuating states of prosperity and suffering in its beginnings, becoming enriched by The Atlantic and Pacific Railroad and then being severely damaged by two hard-hitting tornadoes. The town remained intact, however, and continues to thrive to this day. Marshfield is home to one high school, whose mascot is the Blue Jay, and a handful of elementary schools. The school system’s test scores are above average. While their class sizes are larger than others, upwards of 17 students to 1 teacher, this size is still manageable in comparison to others. Anyone looking for a good public education for their child will feel at home in Marshfield schools. Because Marshfield was home to the famous astronomer Edward Hubble, a replica of his telescope sits on the lawn of the court house. If science isn’t your thing, you might find Marshfield’s easy access to eight lakes, including Stockton, Truman, Bull Shoals, Table Rock, and others more to your liking. Outdoors aficionados will also find access to conservation areas nearby, including the Niangua and Compton Hollow conservation areas. 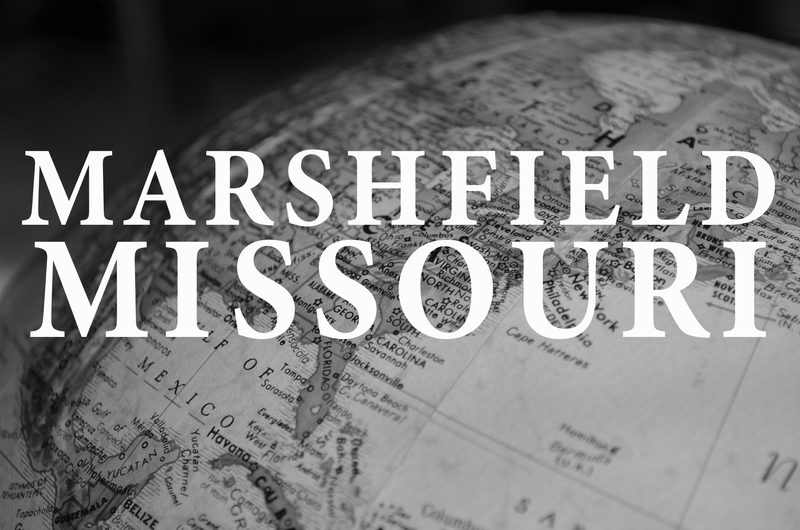 If you buy a house in Marshfield, you’ll be a short drive from Springfield, and you’ll be right next to I-44 for a straight shot up to St. Louis. Should You Buy a House in Marshfield? Marshfield offers all the best in midwestern living. With a rich history and plenty of places to get out and move, it’s easy to see why someone might want to buy a house in Marshfield. If you’re in the market to buy a house yourself, The Dan Holt Team encourages you to looking to real estate in Marshfield. With good schools and lots of outdoor areas, it’s a great place to bring up a family. If you have questions about how to buy a house in Marshfield, please contact us today. Click here to view homes available in Marshfield.